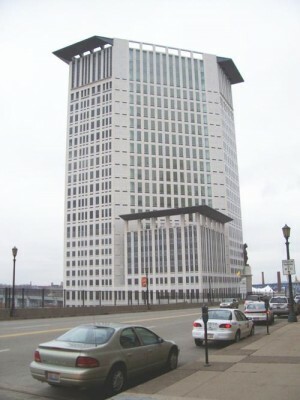 The Carl B. Stokes Federal Court House Building (also known as the Carl B. Stokes Federal Court House Tower, Federal Court House Tower, and the Stokes Tower) is a skyscraper located in downtown Cleveland, Ohio. The building has 24 stories and rises to a height of 430 feet (130 m). 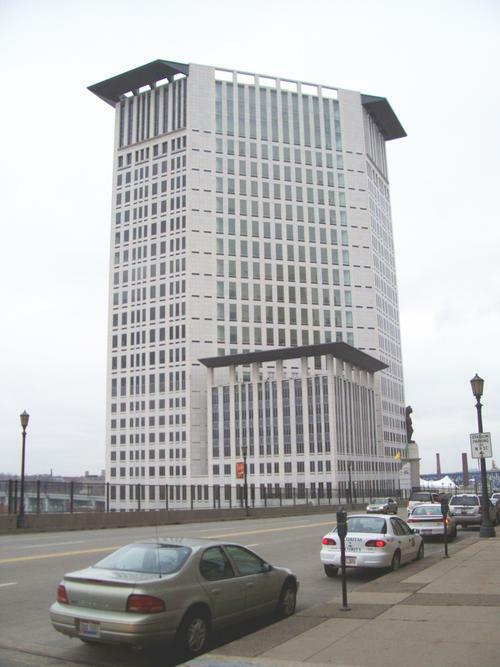 Named after Carl Stokes, the 51st mayor of Cleveland and the first African American mayor of a major city, the Court House Tower is located on the corner of Huron Road and Superior Avenue. The name "Court House" was chosen in homage to the old Federal Building. With construction completed in 2002, it is the latest addition to the downtown skyline and features a characteristic cornice which is illuminated at night. In addition, it includes an enclosed walkway which links it to the adjacent Tower City Center. Tenants include the Cleveland-based federal circuit and district judges and magistrate judges, the Clerk of Court for the Northern District of Ohio, the Federal Probation and Pretrial Services Office, the U.S. Attorney's Office, the U.S. 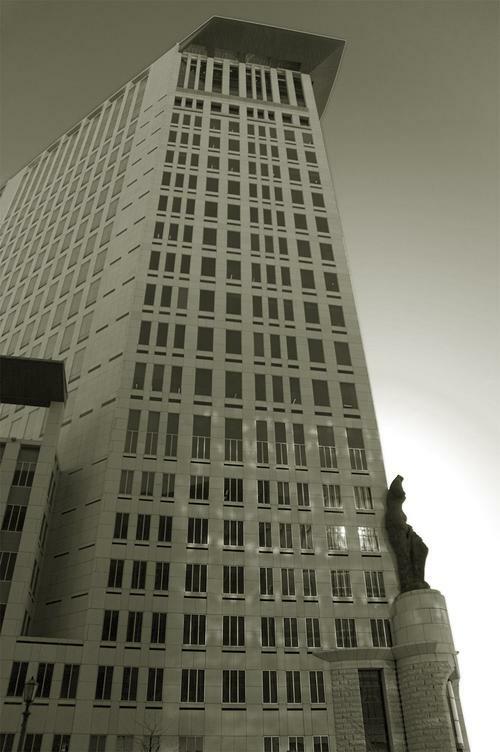 Marshal's Office, and the U.S. Department of Justice Antitrust Division's Cleveland Field Office, as well as the U.S. Immigration Court.